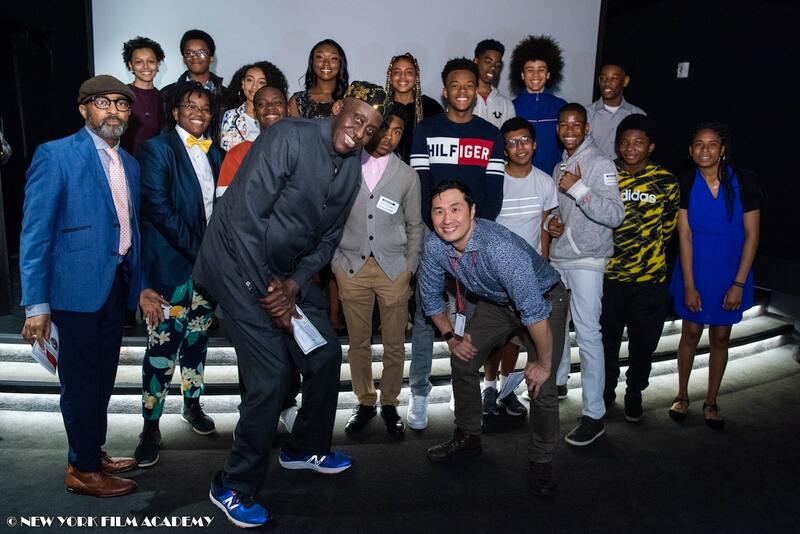 On Saturday, March 30, the New York Film Academy hosted the graduation of the Duke Youth Media Camp class of 2019. 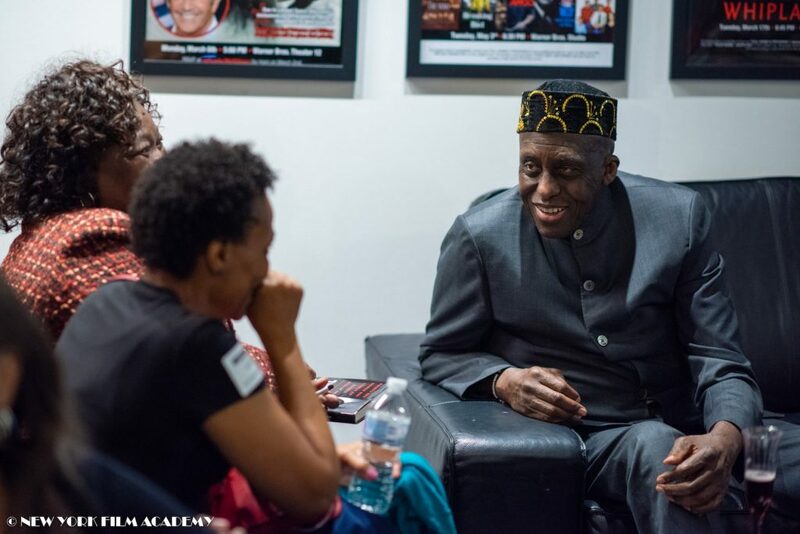 The Media Camp—which kicked off its collaboration with NYFA on January 26 at our Los Angeles campus—is sponsored by the Duke Media Foundation, a nonprofit organization founded by Bill Duke in 2010. 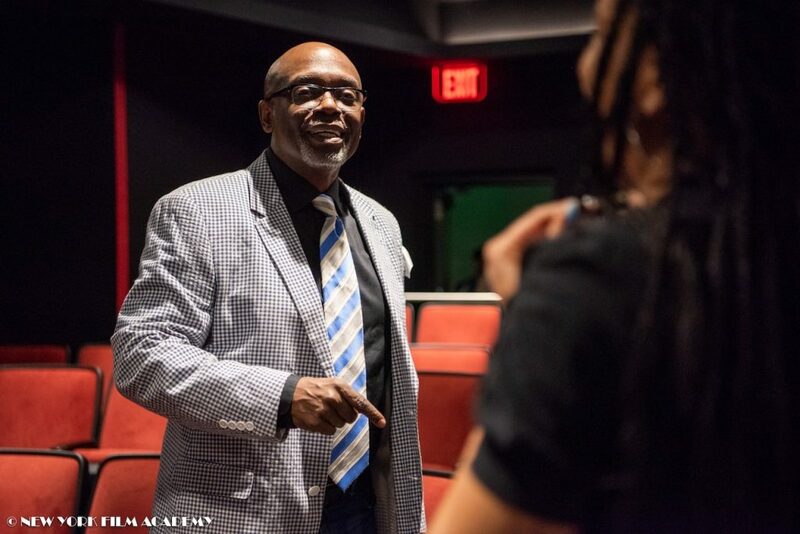 Bill Duke, a filmmaking instructor at NYFA, is a veteran director and actor, known for high-profile roles in several television series and films, including American Gigolo, Black Lightning, Mandy, Predator, and X-Men: The Last Stand. 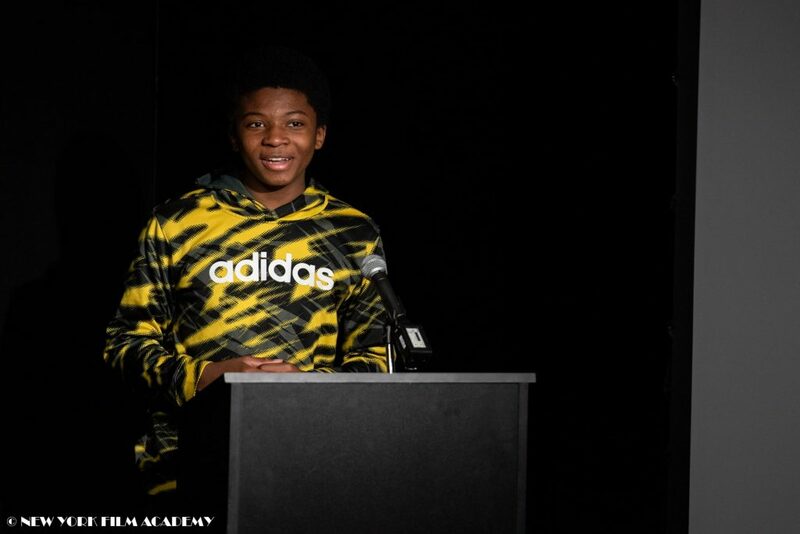 He’ll also set to appear in the upcoming Steven Soderbergh film, High Flying Bird. At the 1991 Cannes Film Festival, Duke was nominated for the Palme d’Or for his film, A Rage in Harlem. 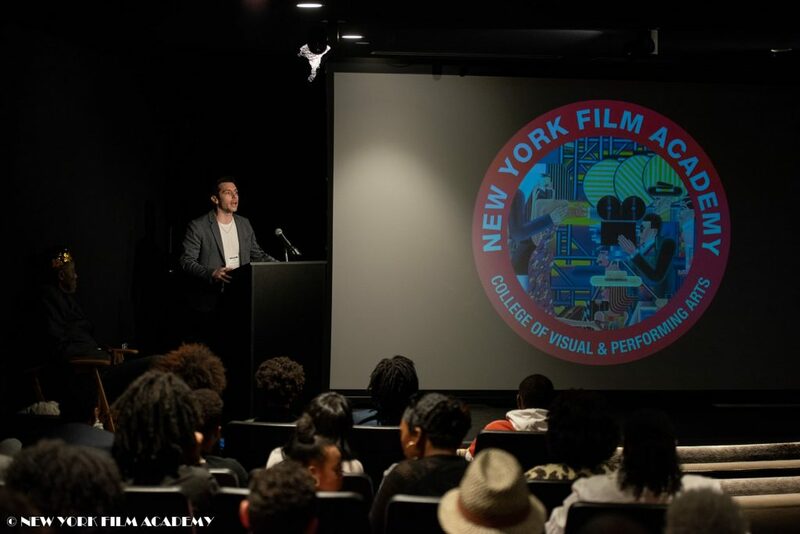 The partnership between the Duke Media Foundation and New York Film Academy began in 2016, and their joint-effort Duke Youth Media Camp seeks to train and empower teens through hands-on instruction and by teaching students the tools and skills needed in a constantly evolving media environment. 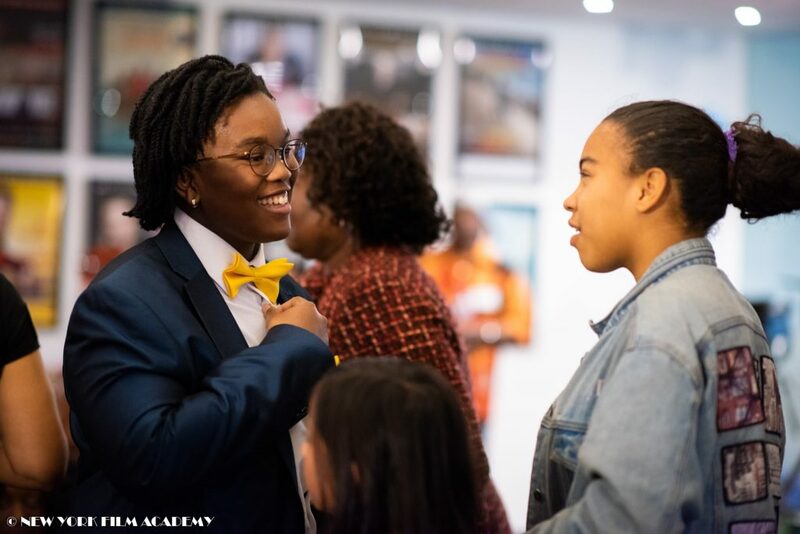 The Duke Media Foundation and NYFA aim to help inner-city youth become more competitive with those who’ve typically had greater access to the education and equipment needed in a television, film, and digital media landscape. 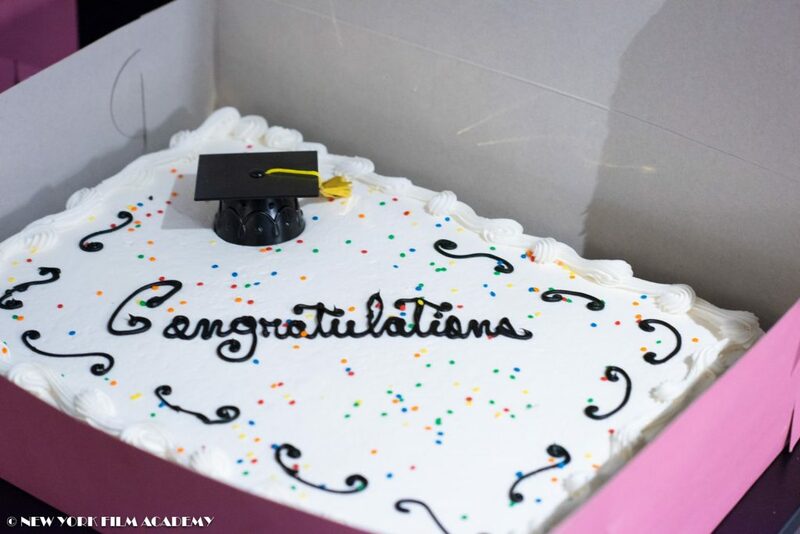 The 2019 graduation ceremony was the largest ever with 16 graduates instead of the usual 12. 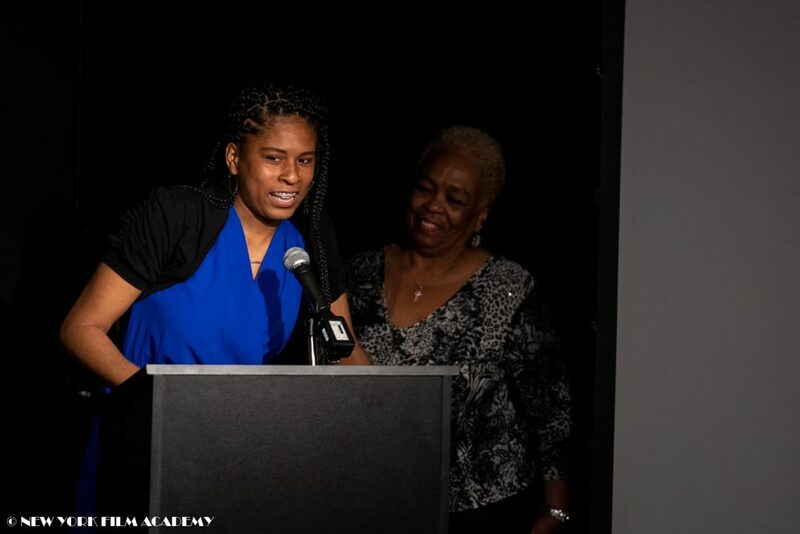 When Duke Media instructor Lee Davis spoke to the students and their proud parents, he shared that this was the most talented group of students he had ever seen in the program. 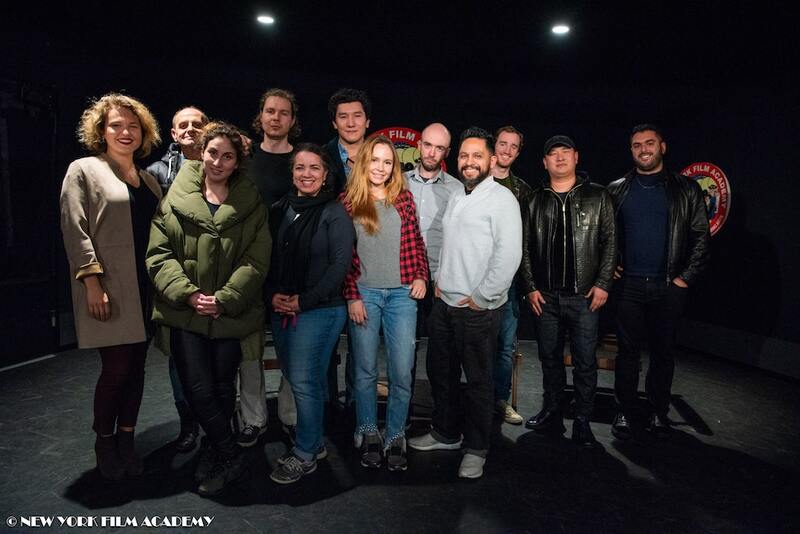 Michael Sandoval, a NYFA instructor involved in the program, added, “It was a pleasure to work with this group of students,” and said that the only time the students were ever told to quiet down was when they were laughing too loudly because they were having such a good time. Paul Caruso from Lost Kids of Los Angeles Inc., one of the sponsors of the program, gave some advice to the graduates: “Make sure the world is a better place tomorrow than it was today … pay it forward.” After some words of wisdom, Caruso surprised the graduates with brand new Dell laptops—a gift from DHL, one of LKLA’s partners. 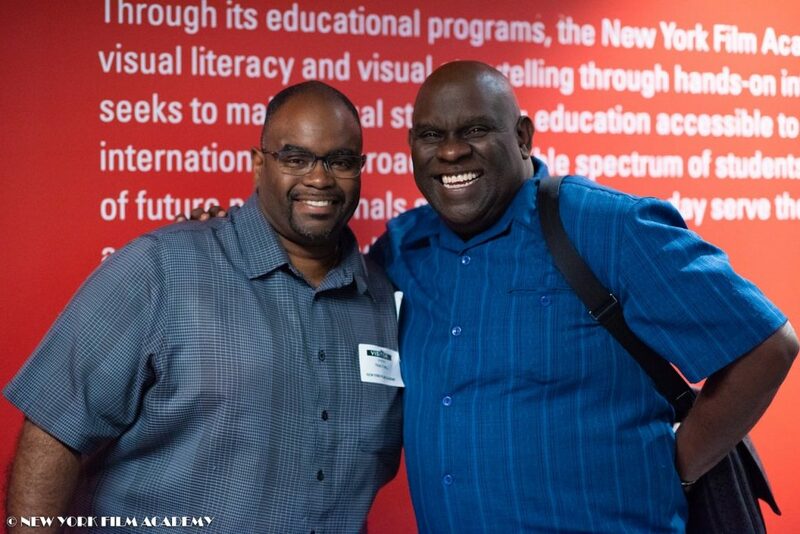 Caruso shared that he wanted to make sure the students had the tools to help them be as successful as possible in the internet age. 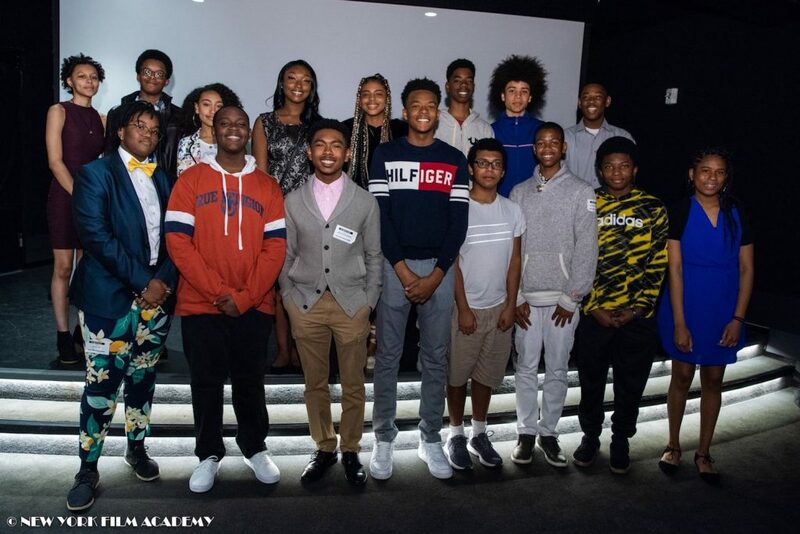 The New York Film Academy would like to congratulate this year’s Duke Youth Media Camp graduates and thanks the Duke Media Foundation for creating this wonderful opportunity for these aspiring storytellers. 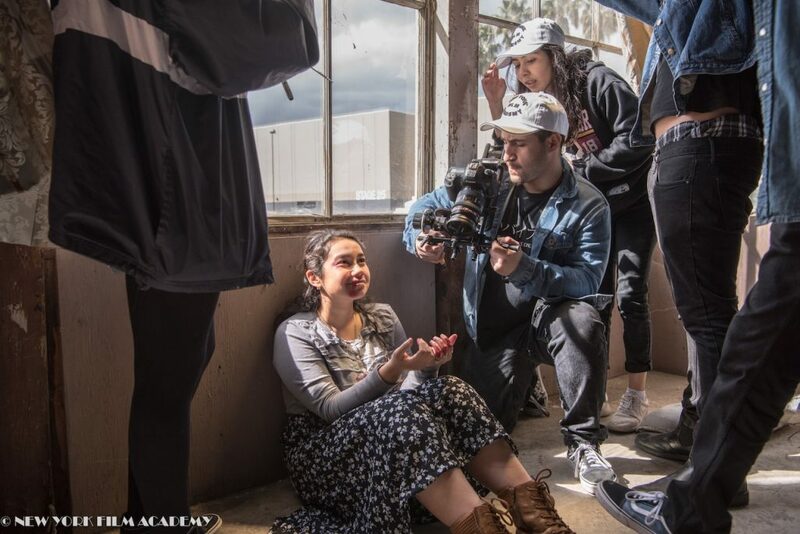 On March 21, Students from Sun Valley High School were able to attend a filmmaking workshop at the New York Film Academy-Los Angeles (NYFA-LA) that allowed them to produce short films at the highest level over the course of a single day. 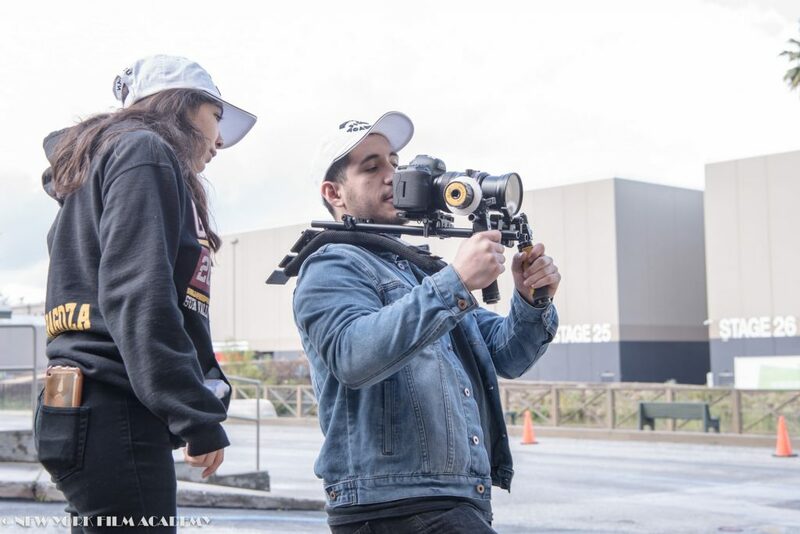 NYFA’s hands-on approach gave the students a chance to learn college- and professional-industry level practices on the Universal Studios Backlot, where students of NYFA’s conservatories, workshops, and degree programs also have the opportunity to shoot their films. 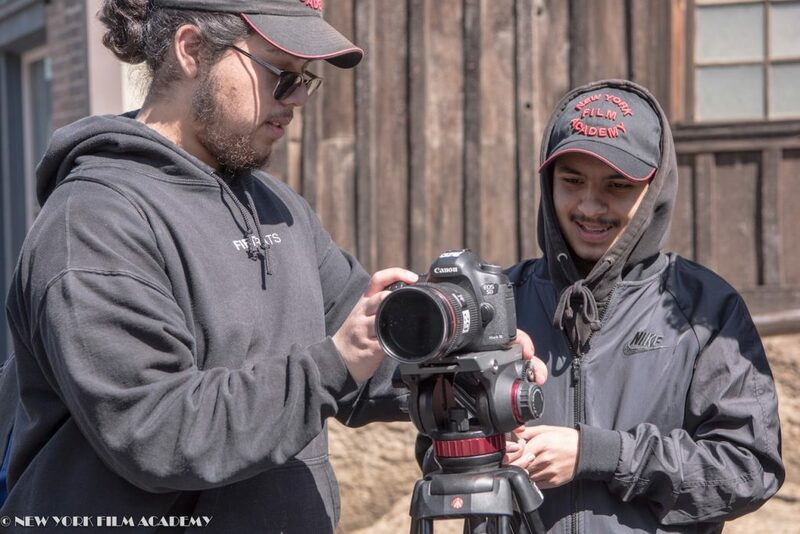 Over the course of the day, the Sun Valley students were able to shoot, direct, and edit their very own short films. 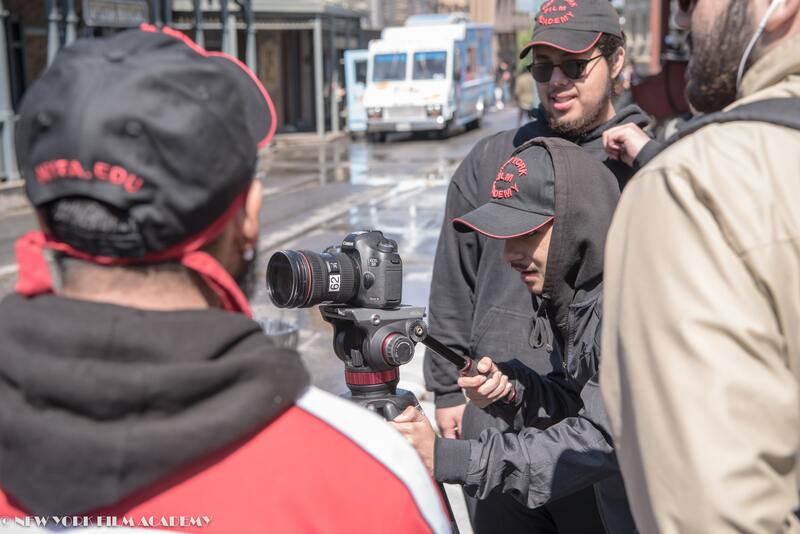 The students were broken up into teams and worked closely with NYFA instructor Steve Morris to make their films. 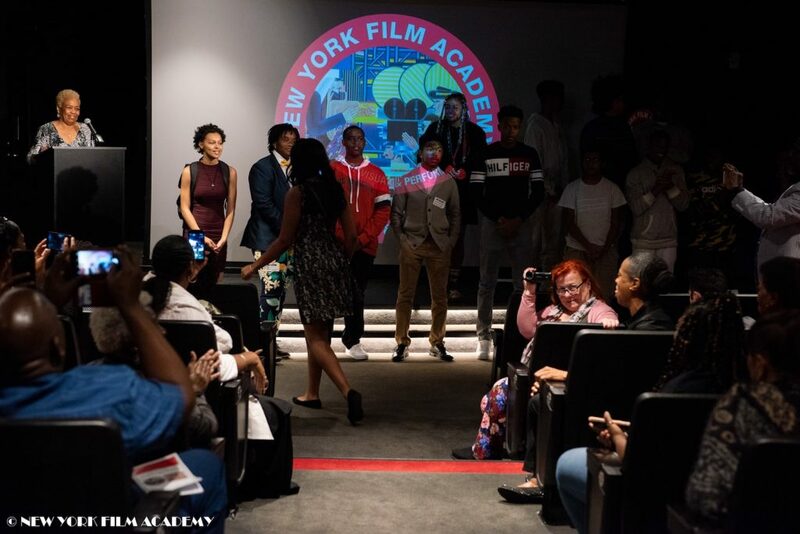 The students had a great time and were able to enjoy a professional atmosphere created by the NYFA team that will prepare them should they ever enter the industry. 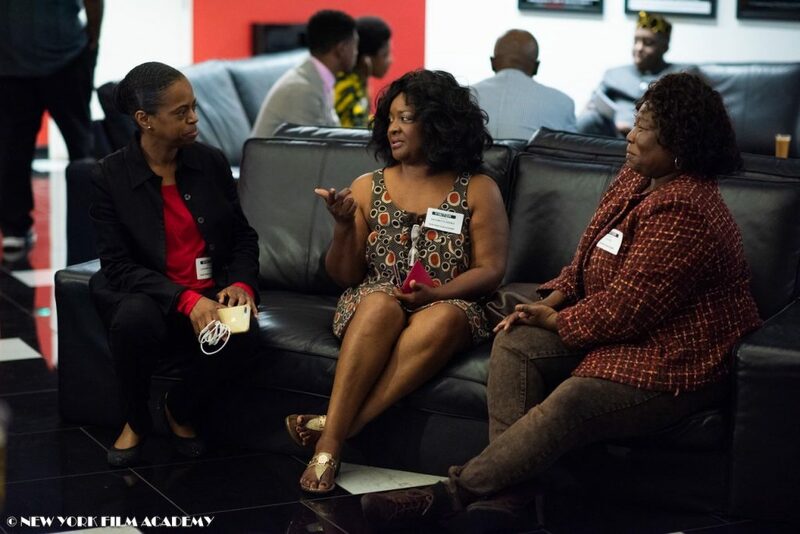 The goal of the workshop especially is to inspire them to be creative and believe in themselves as creatives. 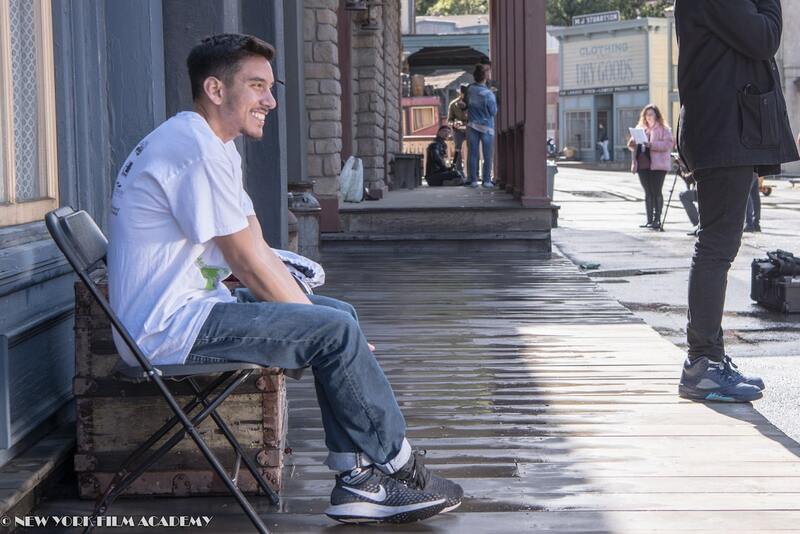 Daniel: “One thing I like working on the backlot of Universal Studios is just seeing everything how it was back then and what it looks like now … Right now we’re working on a comedy film, where a guy is meeting up with his crush and he just has bad luck—he’s trying to get to her but he keeps having bad luck that stops him … They meet up and in the middle of the film she hits her face on a pole and that’s his bad luck happening to her. 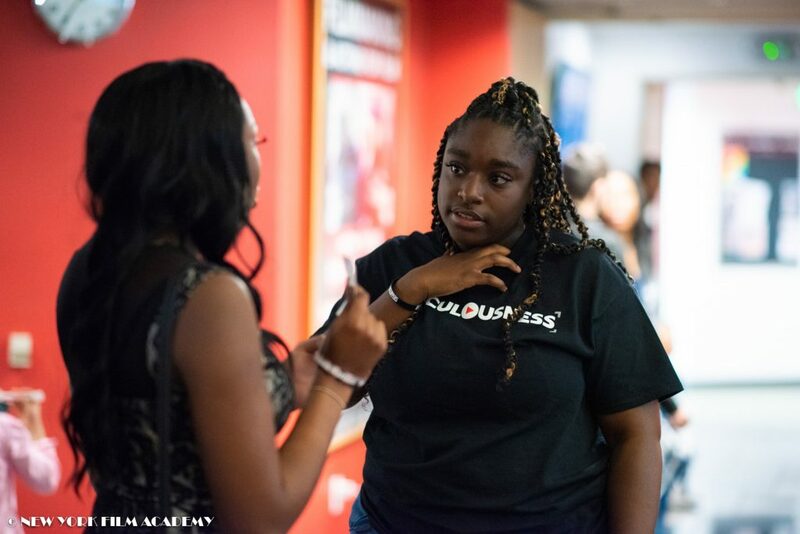 My favorite thing about working here is being able to have the experience and work with teens like me and just learn the everyday things and I just love it”. New York Film Academy (NYFA) Alum Alexandre Kyriakidis grew up watching movies, and eventually, started making his own. 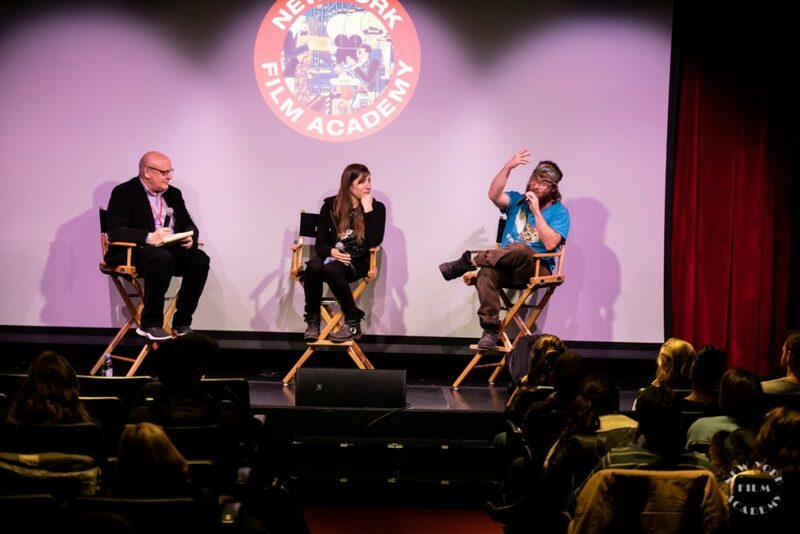 Kyriakidis attended NYFA’s 8-week and 12-week workshops in 2001 before going on to shoot multiple short films as well as over 50 music videos across the globe. 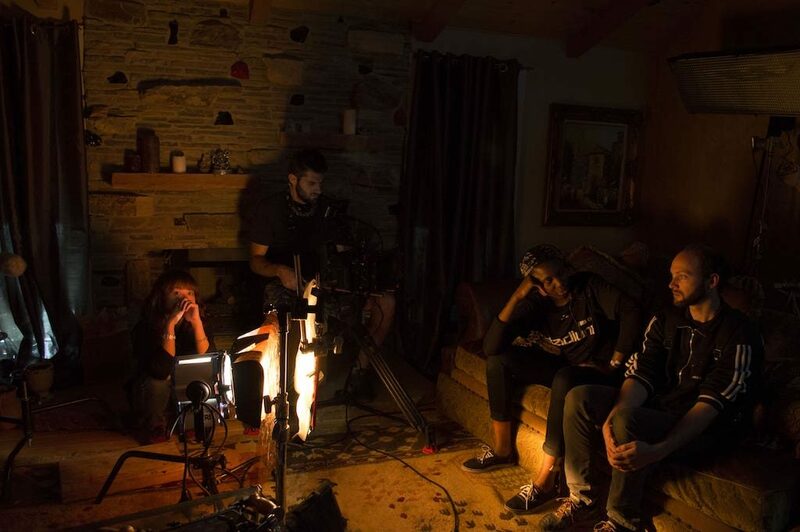 Kyriakidis hails from France from Greek and American parents, and has lived both in Europe and California, watching movies from his grandmother’s vast film collection nearly as early as he can remember. 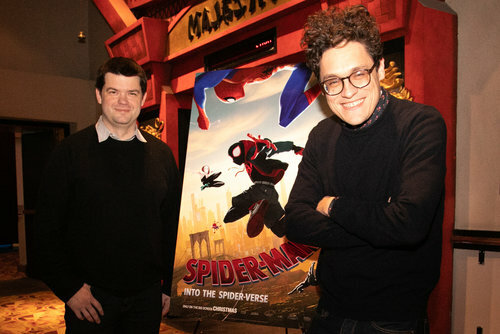 Those movies both inspired and influenced his own projects, which he started making at a young age and continues to make today. 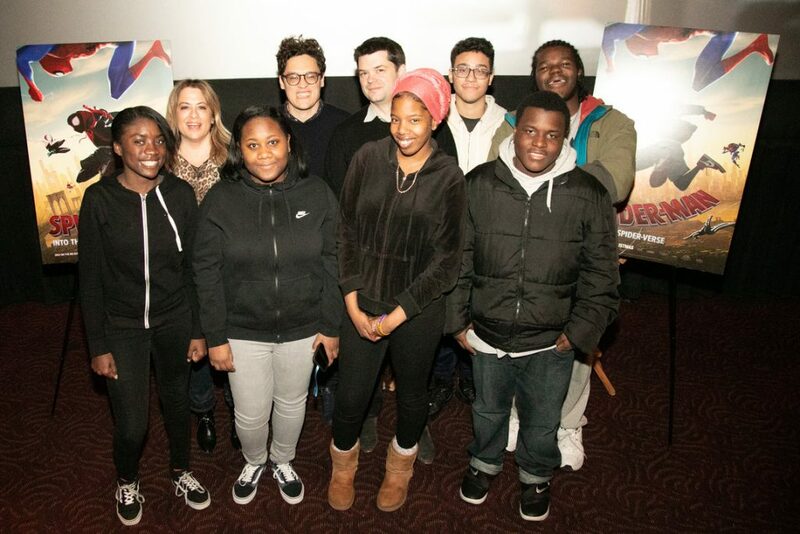 Filmmaking runs in the family — Kyriakidis’s aunt is producer, director, and Oscar-winning actress, Jodie Foster. 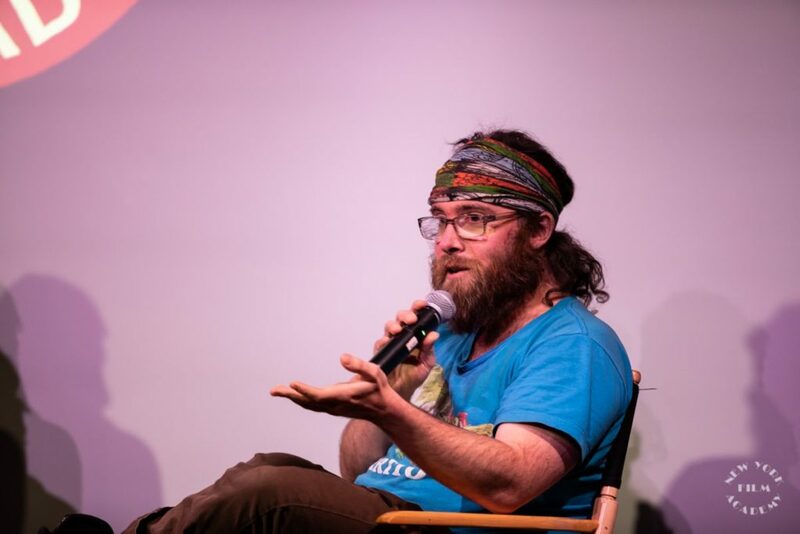 While Kyriakidis says their artistic sensibilities differ greatly, Foster has still appeared in some of his favorite films. New York Film Academy (NYFA): Can you tell us a bit about yourself and what brought you to New York Film Academy? 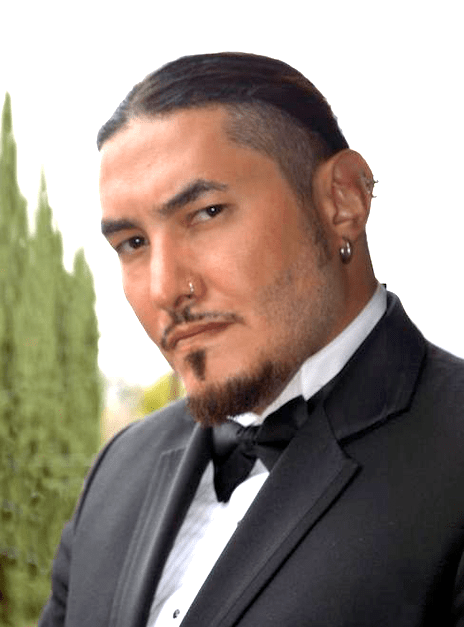 Alexandre Kyriakidis (AK): I was born in France from a Greek father and an American mother, and have been living in Europe most of my life with some extended periods in the USA, in California mostly. I started making backyard films in high school until landing an internship at 14 years old for the French visual effects company DUBOI (they don’t exist anymore), who were doing Alien: Resurrection at the time. 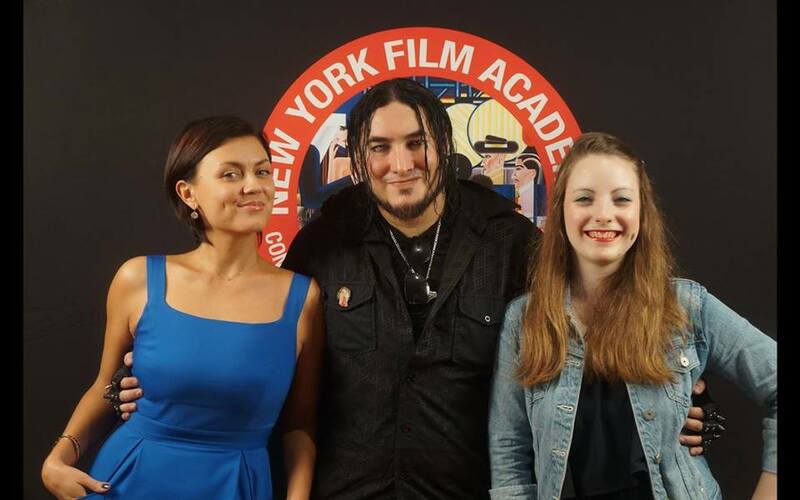 What brought me to NYFA was that after graduating from high school I couldn’t find a film school that I liked; most of them would rely too much on theory and not enough on practice, and I also didn’t want to sit in classes for hours learning about the films of Rainer Werner Fassbinder for example, when I had already seen these films and built my own film education since I was a kid. 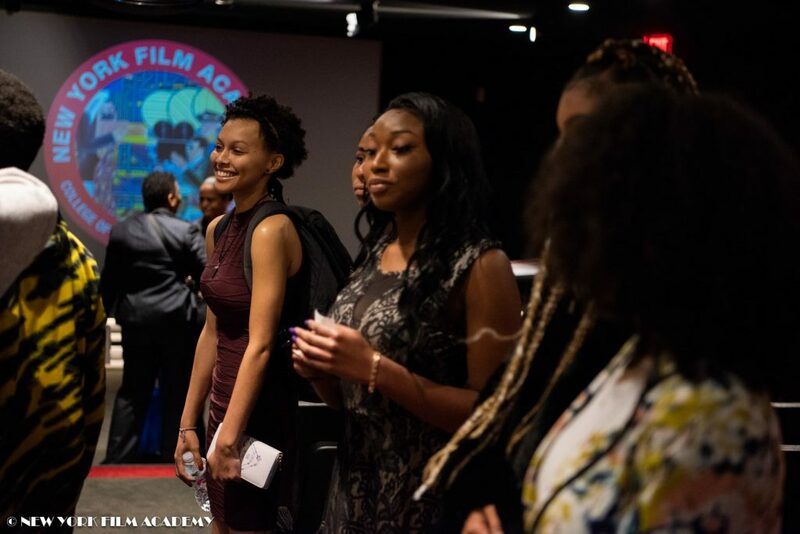 But then I learned about New York Film Academy and it suited me perfectly; it was all about practice and hands on, where just after the first day you would already touch and use the most important tool in filmmaking — the camera. It was all about living, breathing, and dreaming films. 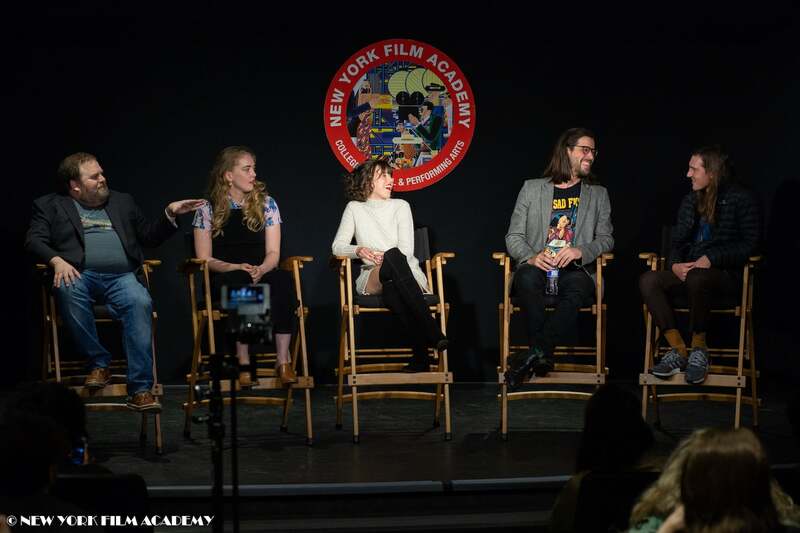 NYFA: What was your time at NYFA like? AK: It was the best time in my life, because nothing around me was important, nothing else mattered but films, and I was surrounded by people just like me — people who loved films more than anything. 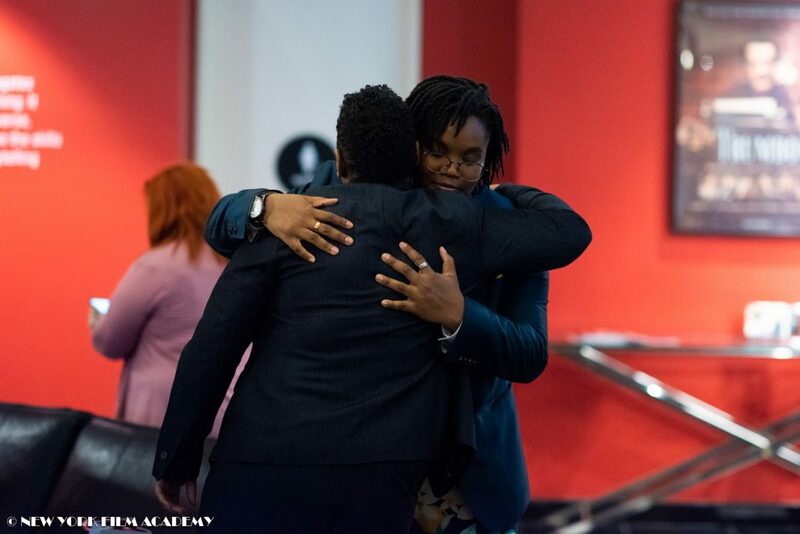 I also met some of the most amazing people in my life, other students with whom I shared the same passion, other students with whom I can talk about movies that weren’t just blockbusters, and students from all over the world who became friends and with whom I still communicate today. 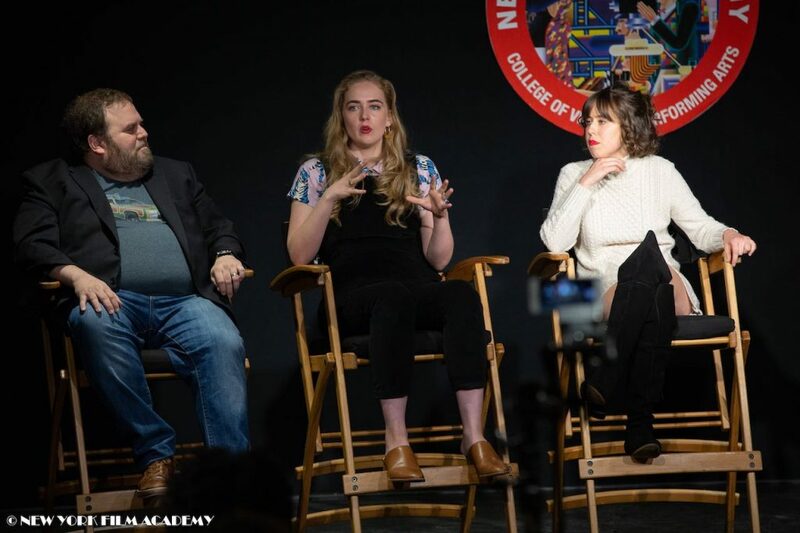 NYFA: Why have you decided to focus on directing? 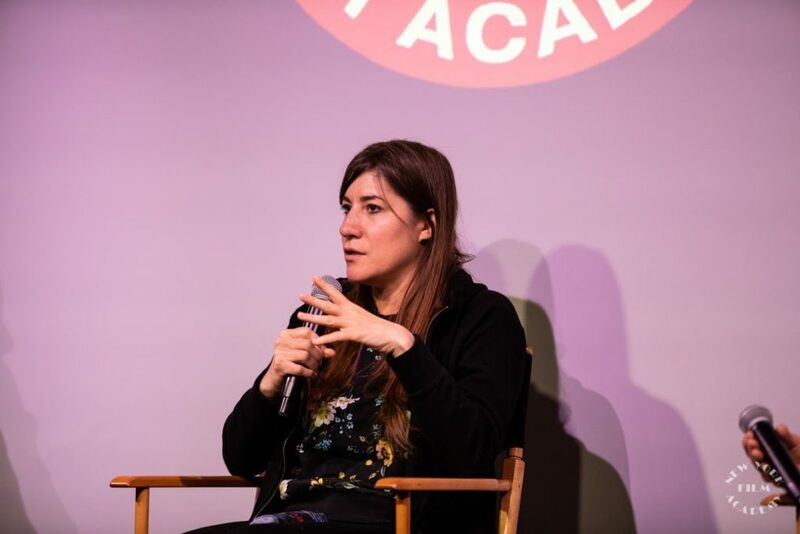 AK: I always wanted to tell stories, to make movies, but I wanted to be the person who was in charge of the creative aspect — deciding what was going to be on the screen, basically put on the screen what is in my head — and that is why I wanted to become a director. I have had many influences from when I was a kid, and even today I’m influenced by many great filmmakers. But when I was a kid, four movies had a big impact on me, and three were directed by the same person. First was Raiders of the Lost Ark by Steven Spielberg. I think I saw that film on VHS when I was four or five years old, and I remember seeing it in Greece at my godfather’s home. Looking back at it today, it’s a harmless film, but … leaves a big impact on you as a kid. The other film was Robocop, that I saw on VHS at six, and when I first saw it, it felt like if I was watching something forbidden, something I wasn’t allowed to see … Then when I was eight, Total Recall was being replayed in Greece one night on a giant screen on the beach, and my dad and godfather took me to see it. And then when I was ten, I was in Los Angeles one summer and my grandmother showed me Basic Instinct. So as you have guessed, Paul Verhoeven had a big impact on me. After that my grandmother, who owned at the time a huge film collection, started to show me everything she owned, from the films of Werner Herzog, to the classic Italian films like Last Tango in Paris, as well as the films of Akira Kurosawa, the films of Stanley Kubrick, French films, German films, Soviet films — I basically saw everything, and I mean absolutely everything. So my film education came from there, and it’s after seeing all these great works of art that I wanted to make films myself. 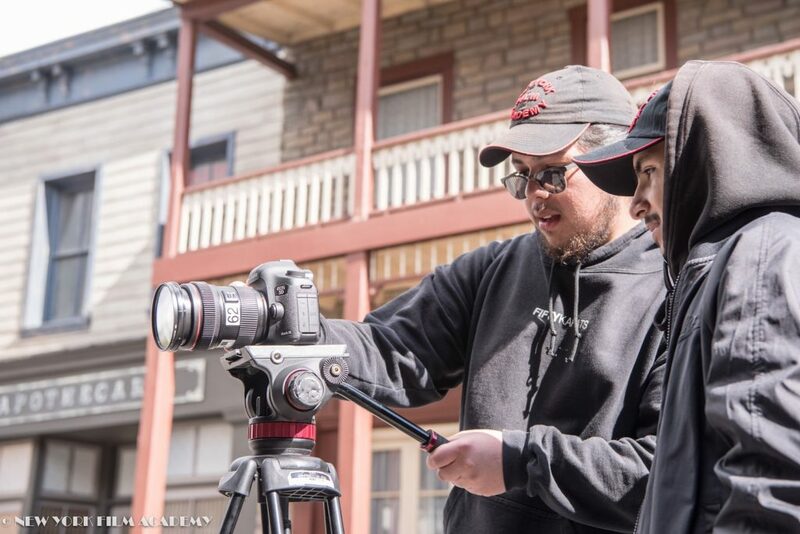 NYFA: What drew you to making music videos? AK: I had always wanted to make music videos, but never really knew how to get into it. All I knew is that great directors like David Fincher, for example, started in music videos and still make some once in a while. In my case, there is this guy I know in England who was starting his own music company after owning an event company for whom I shot videos in nightclubs, and he asked me to make a music video for a Romanian singer. And I had never worked on a music video before, never learned how to make a music video, so really I didn’t know much, but I told him I would do it. 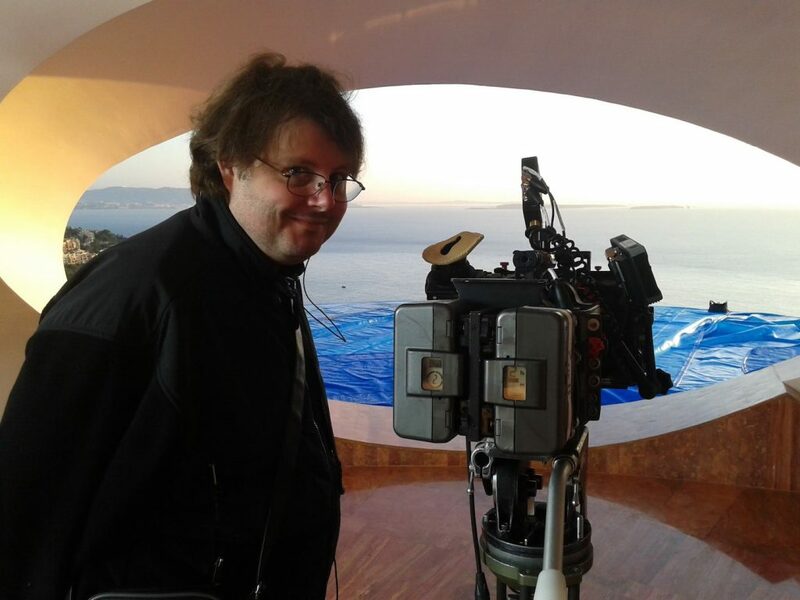 A few weeks later we were shooting on the Mediterranean with a skeleton crew and a Canon 5D camera. And after the success of that music video, a second music video was made for the same singer; again it was a success, eventually new artists were signed up, mostly metal and hard rock, so I ended up doing more music videos. Eventually other music companies from all over Europe, even Russia, contacted me, and I made music videos for them. 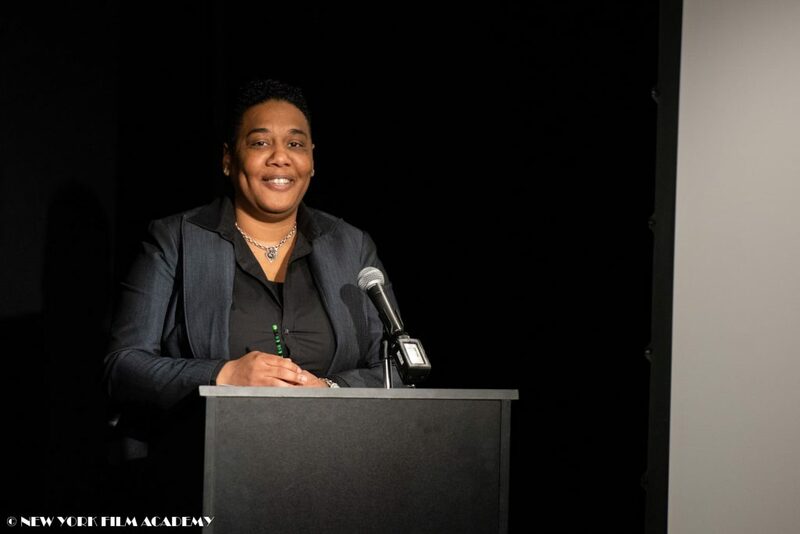 Some being hits, some doing well, others doing less well, and once in a while there is a controversial one that ends up in flaming internet debates. 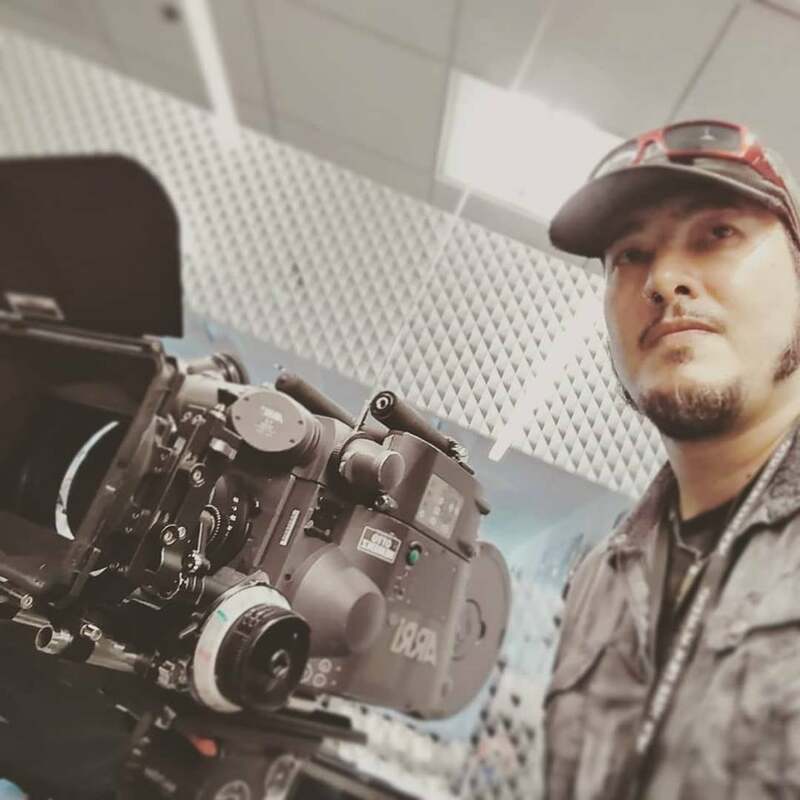 Now even after making 50 music videos, I still feel that I’m learning more every day, and each one of these 50 are like making a new short film each time. A good thing about music videos is that they allow you to experiment, to test new tools or to try things you would never dare doing in a movie. 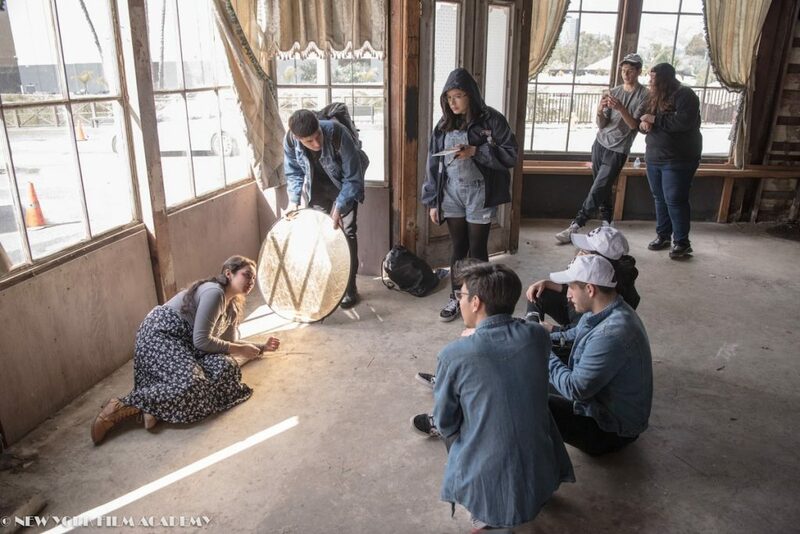 NYFA: What kind of music videos do you prefer working on? Is there a particular genre of music you feel lends itself better to the medium? 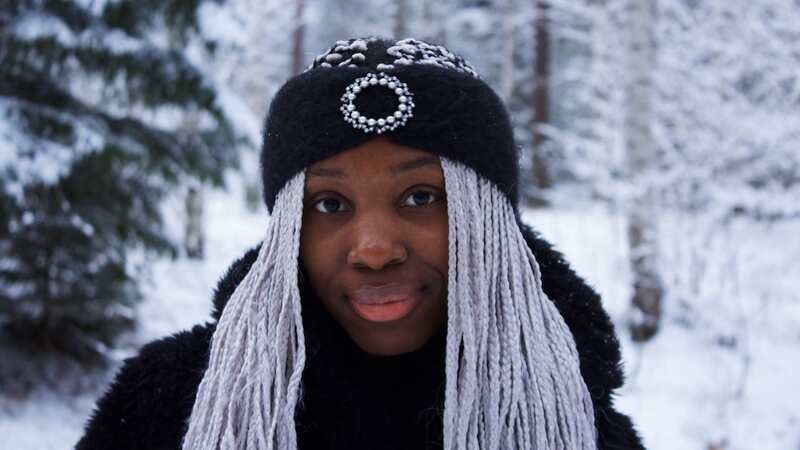 AK: I have done mostly rock, metal, and gothic music videos, but I have also done a lot of pop music videos in Eastern Europe, in Southern Europe, and in Russia. My first music video was a pop one. My taste in music is rock with a preference for ’90s and ’80s rock. I have always been a rock fan, so I’m always enjoying making rock music videos. But I still feel pop music videos are the ones that are the most fitted for music videos, because the songs are often so overproduced and have so much Auto-Tune in them that they are often recorded with a music video already planned. Rock music is made for the stage, pop is made for the screen. 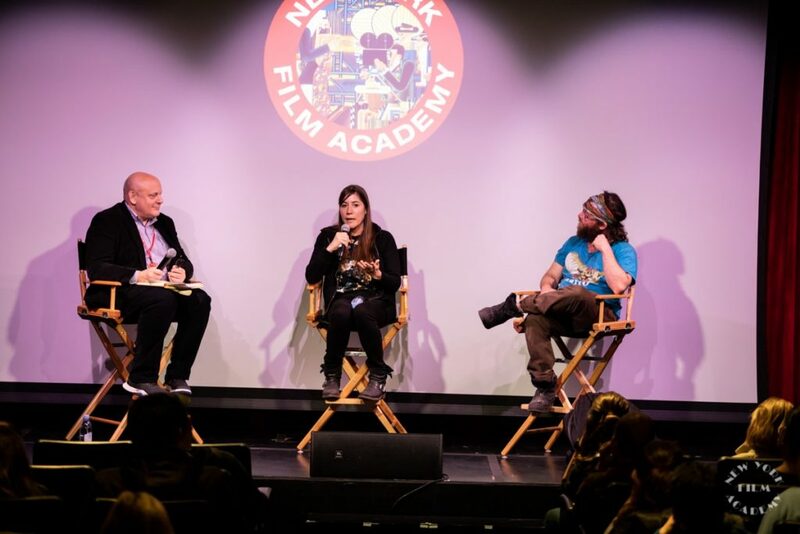 NYFA: Can you tell us about your short films? What are they about and what inspired you to make them? 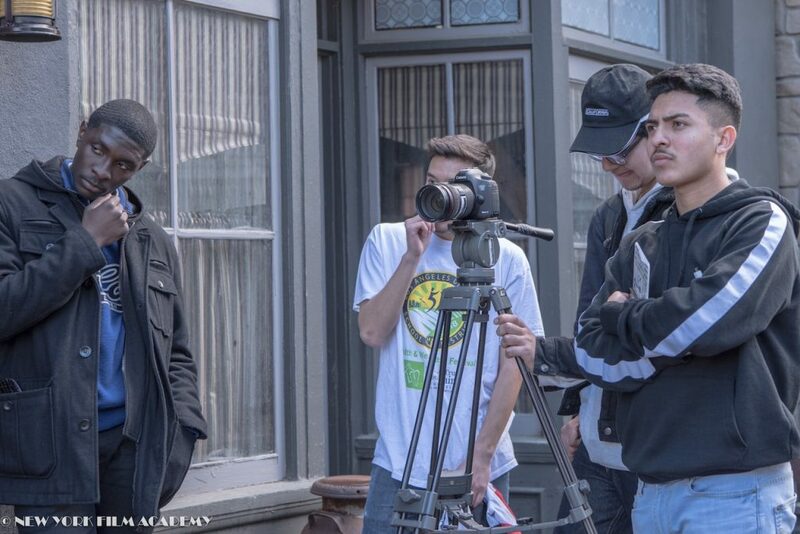 AK: My first short film, Blues Stop was made right after NYFA, shot on Super 16mm. It’s a thriller about a Bible salesman who falls for a psychopathic, beautiful female serial killer who ends up framing him for murder. 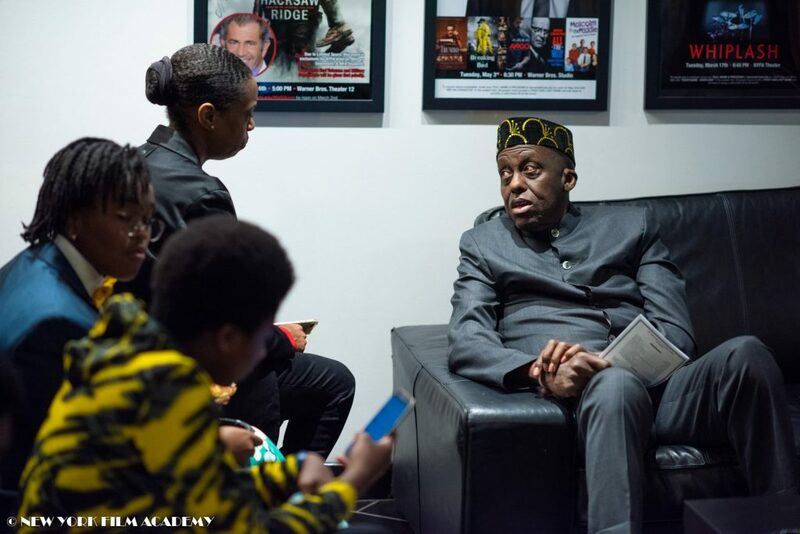 The film was never shown in its home country of France, but it was screened in festivals all over the world, including in Los Angeles. 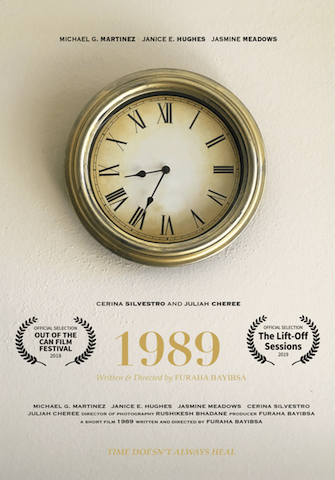 My second short film, C22, made many years after my previous one, is a sexual thriller with a dose of action, a dose of horror — it’s about a kidnapping gone wrong. This film once again didn’t get shown in any festivals in France, but was shown in festivals all across the world, including North America. 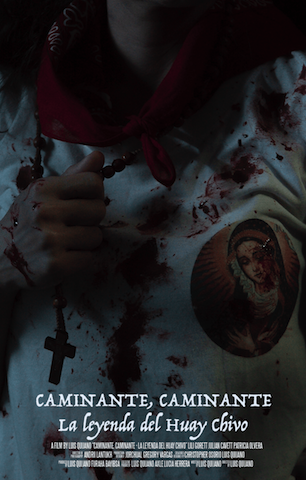 And my third short film, Sfagi, is just a small-budget martial arts action movie about capturing a fugitive. Originally it was just going to be a demo reel for a group of martial artists and stuntmen, but I managed to convince them to make a short film. 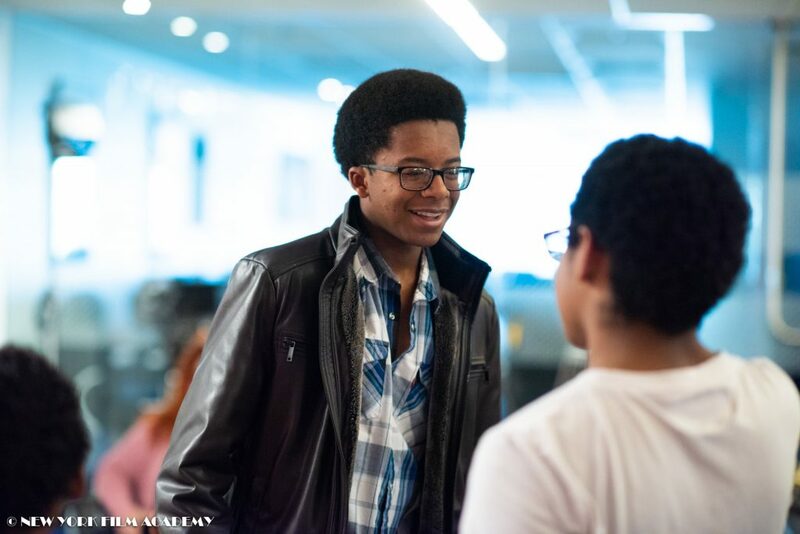 You can check out Alexandre’s film below, though speaking with NYFA, he made it clear that since it was his first film straight out of school, he finds it very hard to share with anyone these days. But even in his first film, his talent is evident and shows the potential of his craft that would come later. Alexandre also made sure to give props to his experienced crew, many of who had just come offLove Actually and Neil Jordan’s The Good Thief. 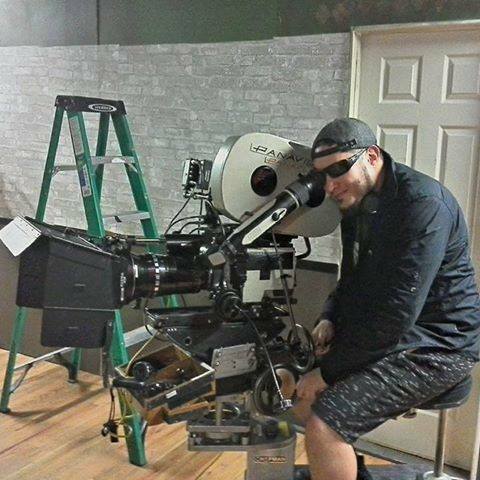 The director of photography of the film was focus puller on Star Wars: A New Hope. 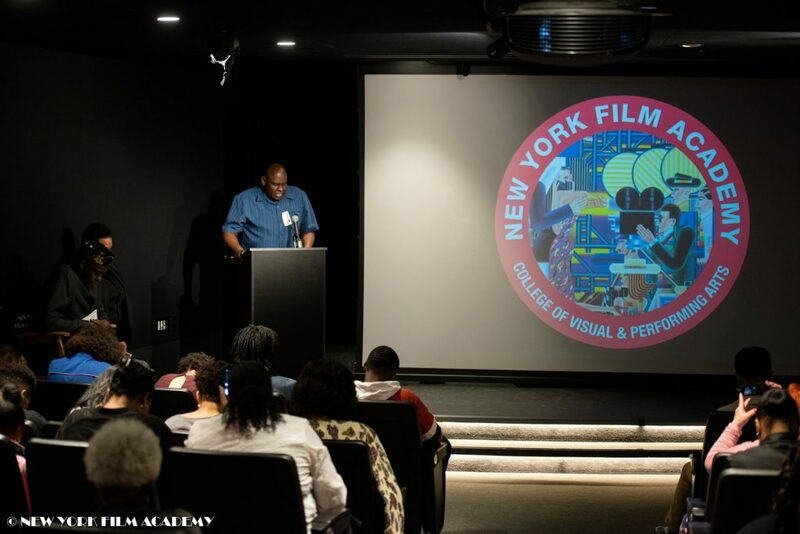 NYFA: Besides Raiders and the films of Paul Verhoeven, what are some of your other favorite films or types of films? AK: I don’t have a type of film, I like any film — science fiction, drama, horror, action, or comedy. I can enjoy just as much a classic heavy duty drama just like I can enjoy an old ’70s exploitation film. But my all time favorite film, the one that is all the way up there, would be Gone with the Wind and then I would say the following: The Good, the Bad, and the Ugly, Blade Runner (the original one), Ran, Suspiria (the original one), One Flew Over the Cuckoo’s Nest, Léon: The Professional, Schindler’s List, and I can go on because I have actually done a list of my 200 favorite films of all time. But as you can see in just these titles, it’s very diversified. 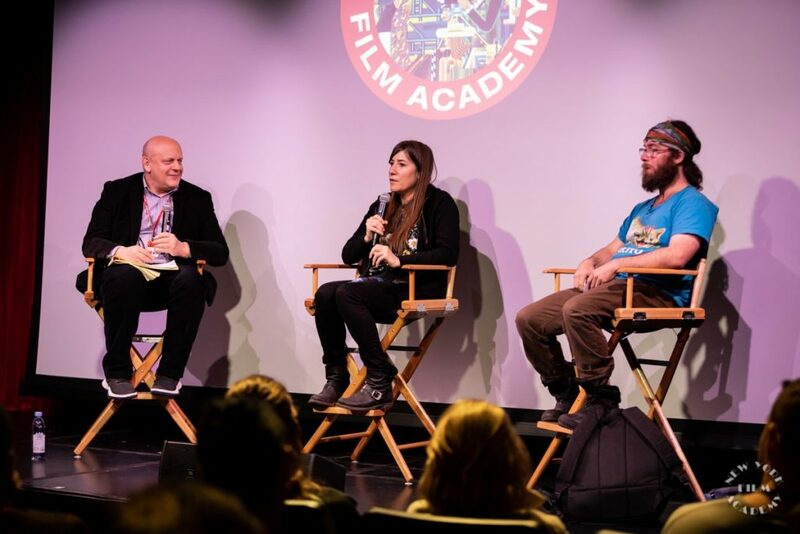 NYFA: What did you learn at NYFA that you’ve applied directly to your filmmaking? AK: I learned to think and not be impulsive. By that I mean back when I was at NYFA we still shot on film, meaning that each time we pressed the camera trigger it would mean money being lost — so if you failed your shot, or if an actor messed his lines, that is money lost that you will never see again… While today with digital we can shoot all day; sure it saves a lot of money, but you end up not thinking as much anymore before shooting. While I, because I learned on film, I tend to treat digital the same way I learned to treat film. 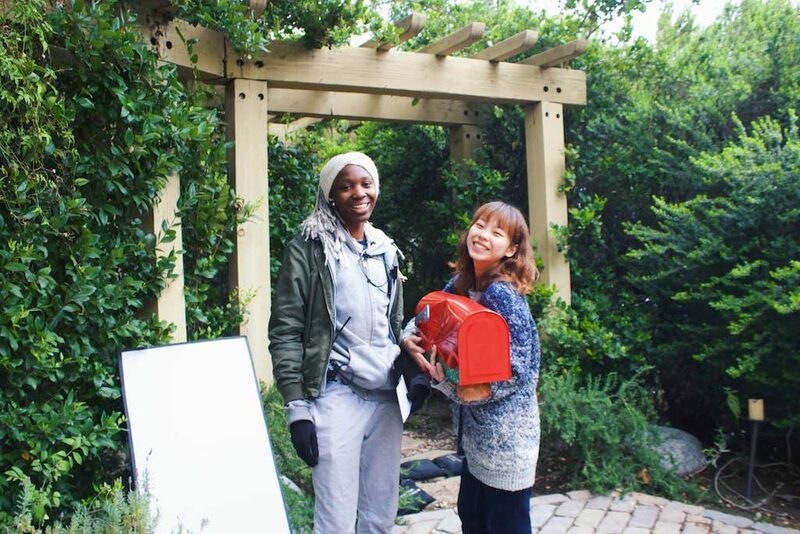 Also the fact that NYFA is very hands on, I’m not afraid to get my hands dirty… how many times was a prop in the way and I would just go and move it myself, instead of having the 1st AD call the Prop Master so he would come and move it? How many times have I picked up the camera myself and taken the shot myself, and little details like that? AK: I have been trying for years now raising enough money to make a feature film, it’s a vampire film — it’s at the same time a sexual thriller, a horror, and a romantic film. But it’s not easy. I’m also trying to make another short film named Femme Fatale that is a tribute to the old “film noir” movies of the ’40s and ’50s. And I’m trying to finish a script named The Lobster Shift that is a mix between After Hours by Martin Scorsese, Into the Night by John Landis, and the Japanese anime Cat’s Eyes. 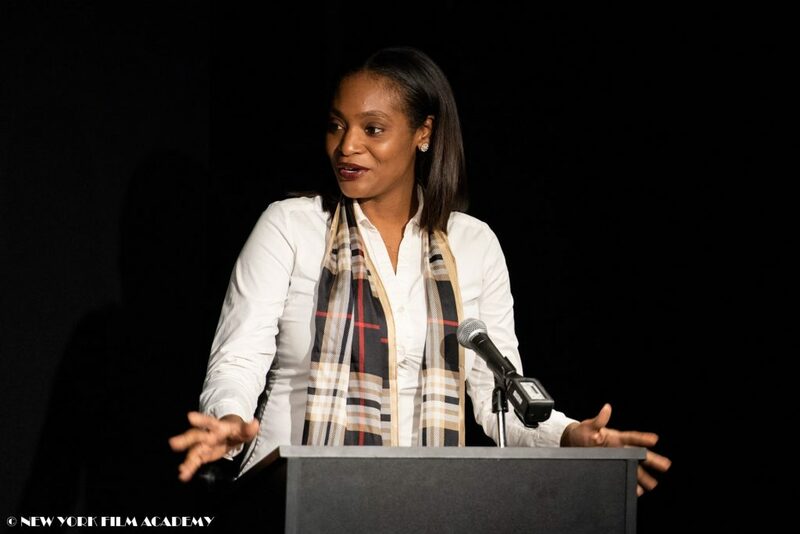 NYFA: How has your aunt, Jodie Foster, as either an actress or director, influenced your own work? AK: Our works are the total opposite — she’s more cerebral than me while I’m more impulsive and react more by instinct. And you can notice it in her films, her films as a director are always very character-driven, while my works are more visually driven. As an actress she happens to be in three of my all-time favorite 100 films — Taxi Driver of course, Silence of the Lambs obviously, and Bugsy Malone, a forgotten gem that happens to be Alan Parker’s first film. 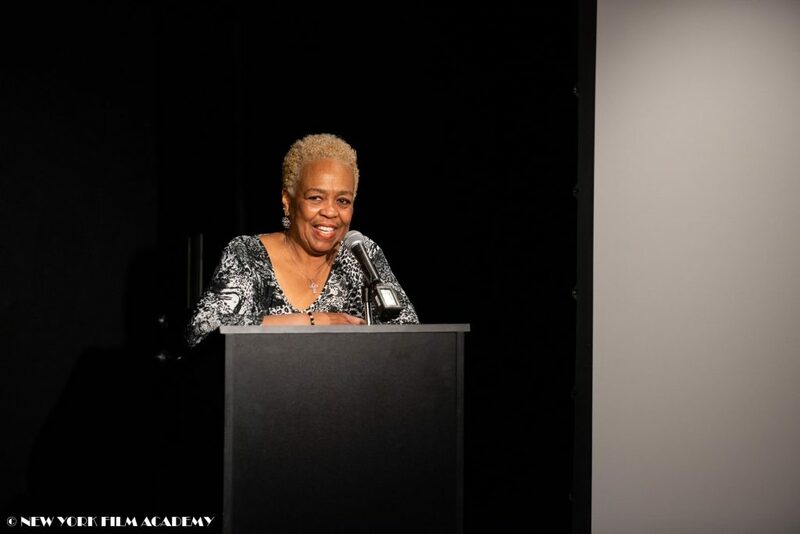 It’s not an influence, but each one of my works — being a music video or a short film, even my scripts — she’s always the first person to see them (even sometimes before the actual producers or bands) or the first reader, especially when it comes to scripts; her advice and opinions are very precious, and help me to make them better. AK: Be ready to live films 24/7 … try not going out at nights and have fun learning about your passion, and you are all in good hands. 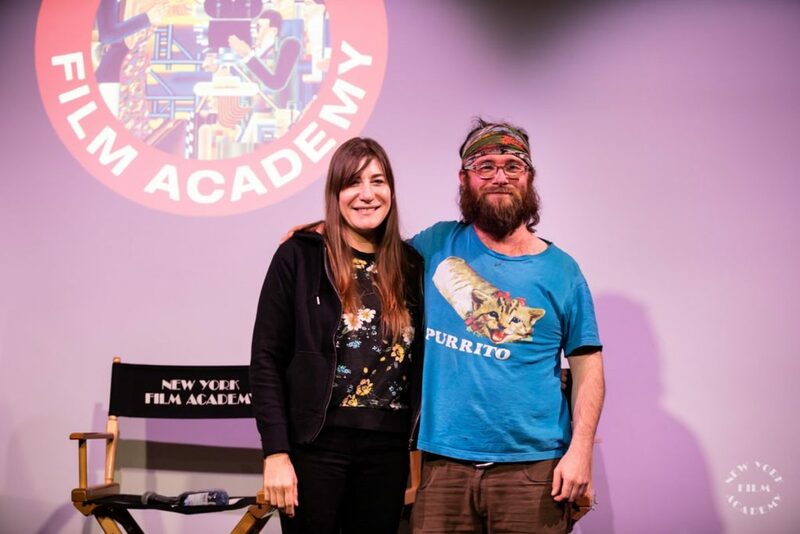 The New York Film Academy thanks alum Alexandre Kyriakidis for taking the time to answer our questions and looks forward to following his continued success as a filmmaker! 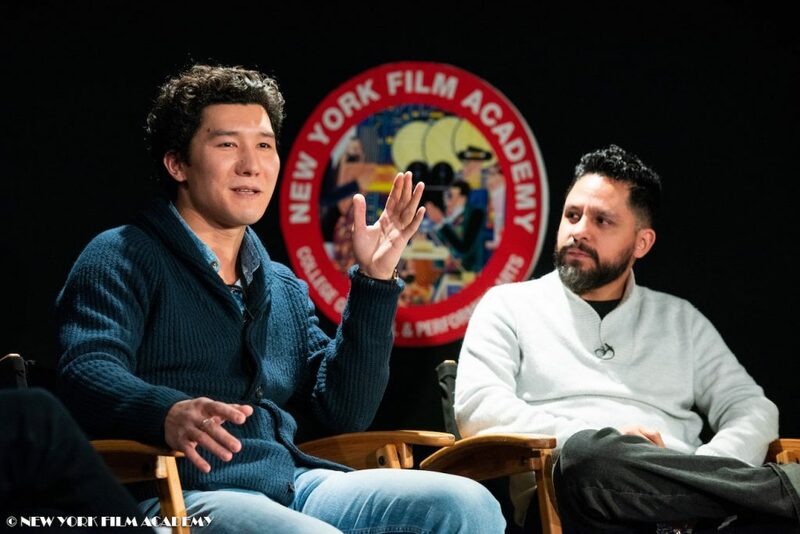 On Friday, February 15, New York Film Academy (NYFA) hosted a screening of El Freeman, followed by a Q&A with NYFA alumni Elhas Rahim and Antonio Chavez, co-directors of the film. 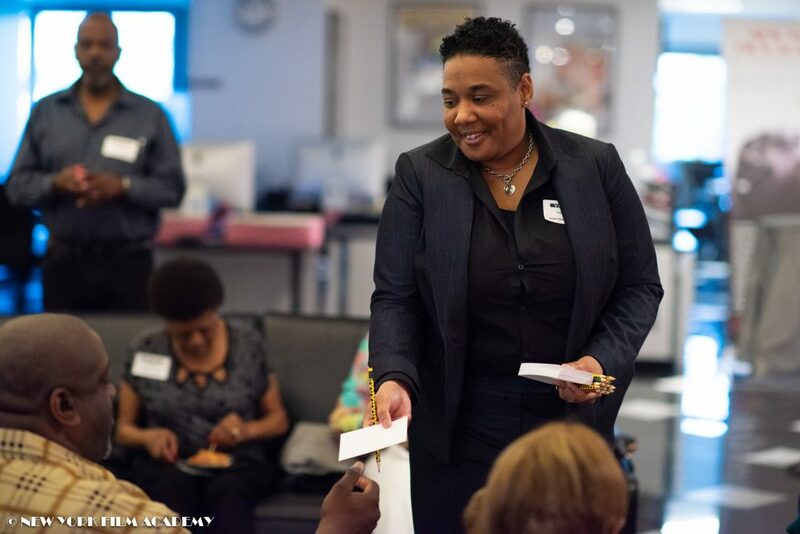 The event was moderated by their former instructor, James Rowe. 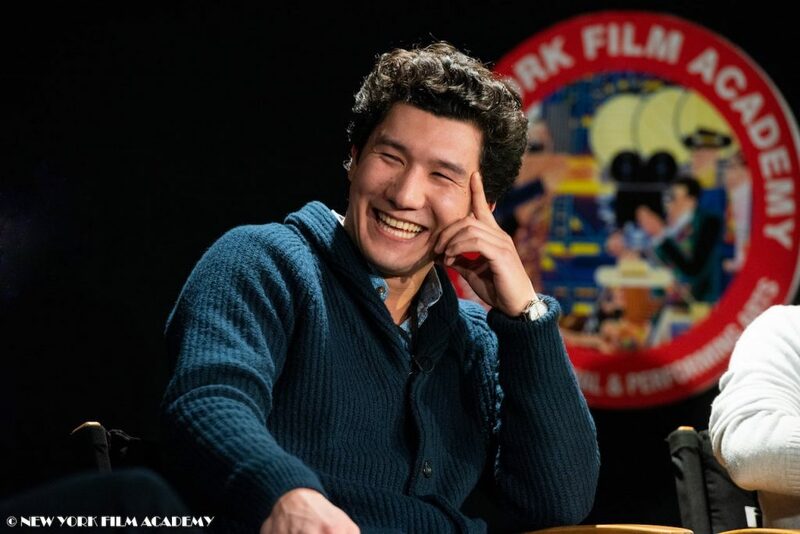 Rahim, who also acted in the film, is from Kazakhstan and Chavez is from Mexico—their film, El Freeman, explores the immigrant experience in America. 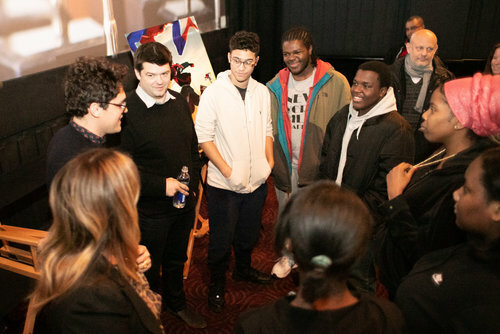 Rowe opened up the Q&A by asking Rahim and Chavez how they personally related to the story in the film. 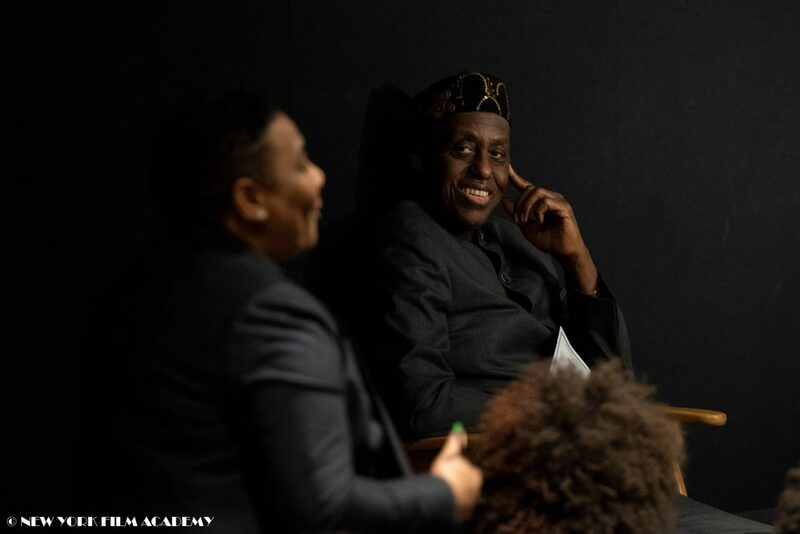 Rahim discussed how there was a time when, in America, he lived in his car and had to navigate being homeless and an immigrant in Los Angeles. This really helped him relate to the film’s themes of desperation and feeling like an outsider. 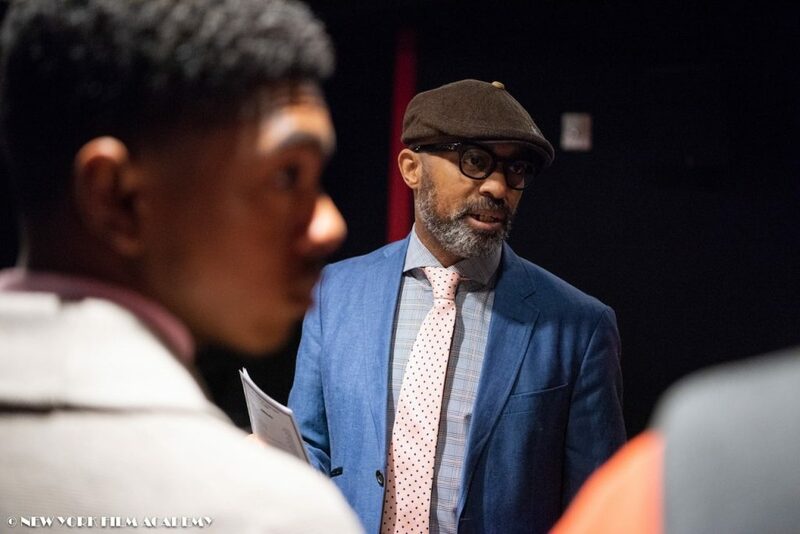 Another experience that really shaped Rahim’s life—and ultimately the script for El Freeman—was when Rahim tried to save a young woman in Kazakhstan who was attempting to commit suicide by jumping into a river. 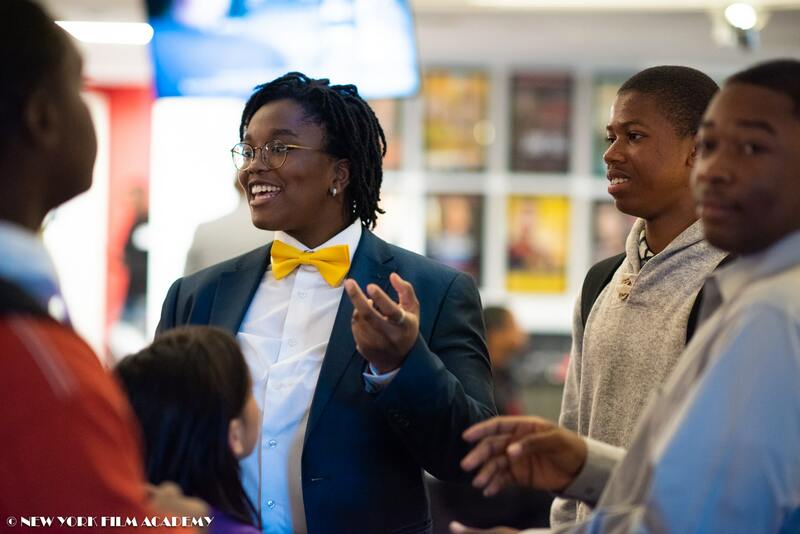 Rahim almost drowned attempting to save her: “I felt like I [could] die,” he said. 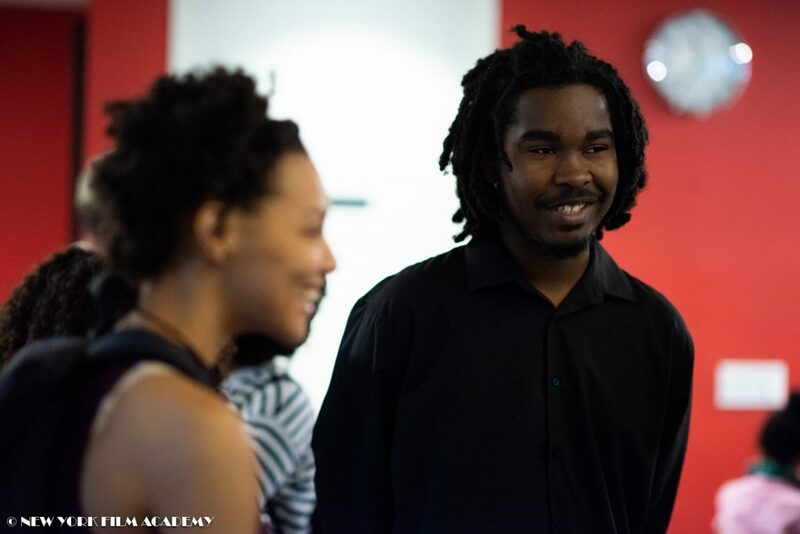 That experience pushed Rahim to do whatever necessary to get the script for El Freeman finished, as well as inspired the backstory for the romantic relationship in the film. 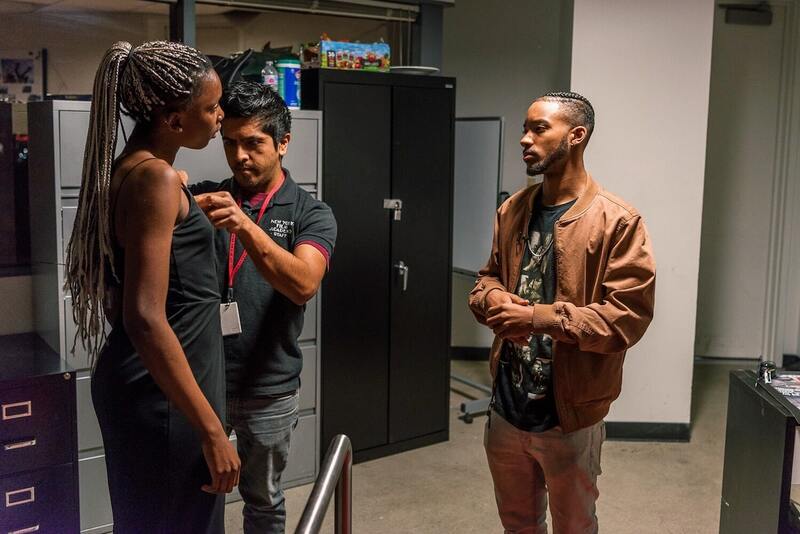 Rowe noted that in El Freeman Los Angeles is represented in a grittier, less glamorous fashion than it is in most Hollywood films. 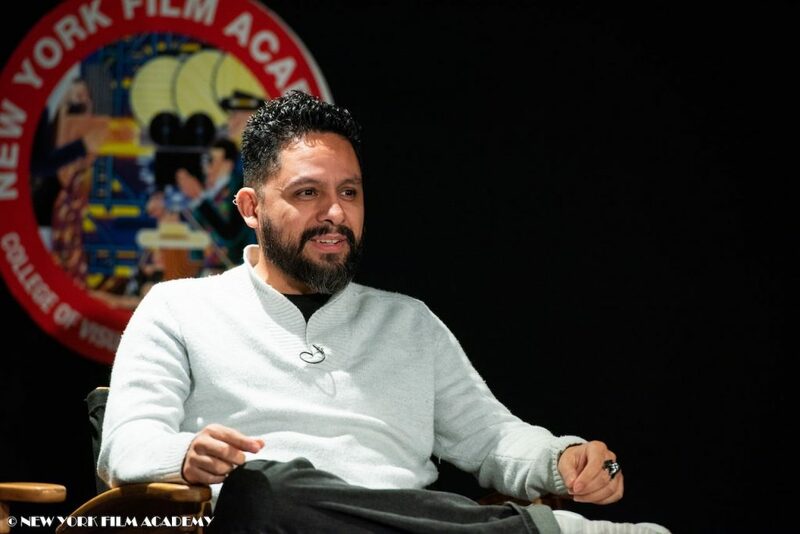 Chavez shared that the production team watched a number of films with an unrefined aesthetic to get inspiration: “You start caring more about the characters because you want to pull a bit away [from the fantasy of an idealistic Los Angeles]. 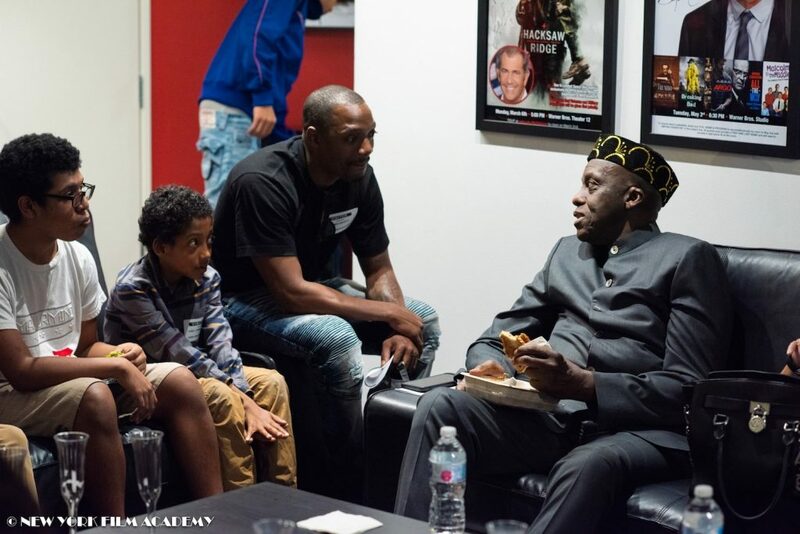 One of the members of the audience asked Rahim about why he pushed for a lot of rehearsal before shooting the film. “I knew this film would be more on the acting side of [things],” he replied. 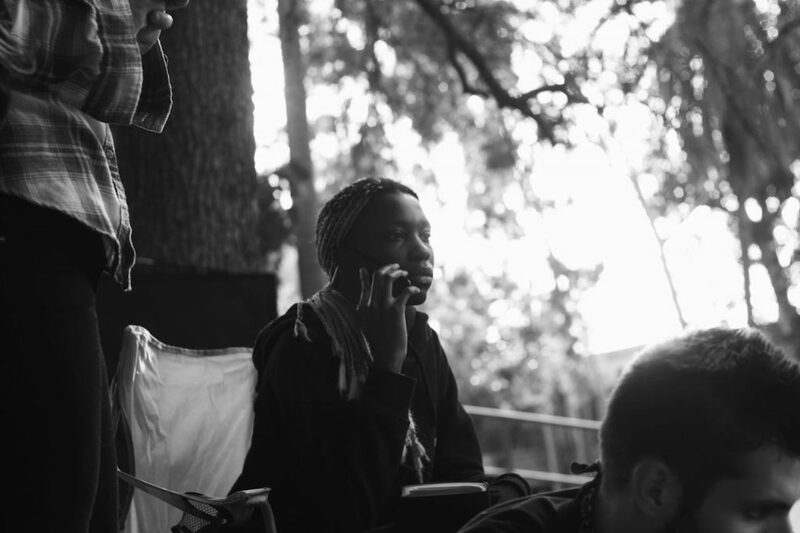 Rahim wanted to work through the emotional moments of the script before arriving on set. The other benefit of this was that the actors were more likely to get good takes faster, which helped with an extremely limited shooting schedule. 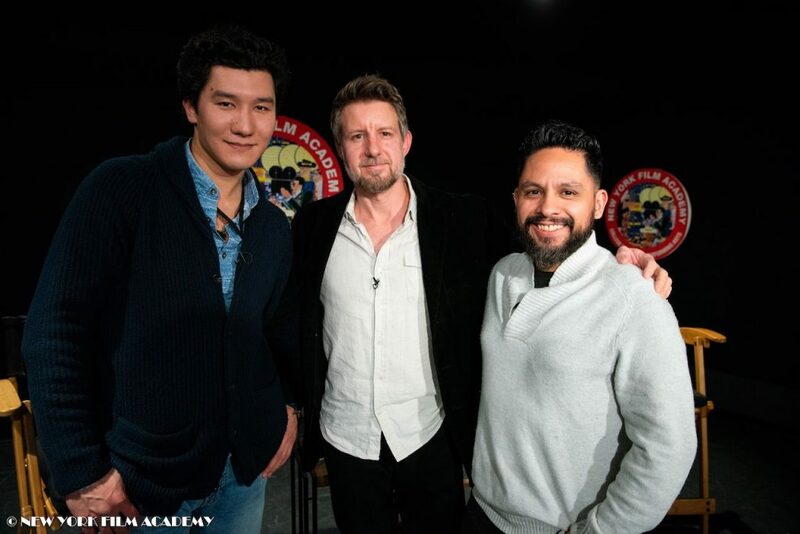 The New York Film Academy would like to thank NYFA alumni Elhas Rahim and Antonio Chavez for sharing their experiences as immigrants in the American entertainment industry and their advice for our students and independent filmmakers. 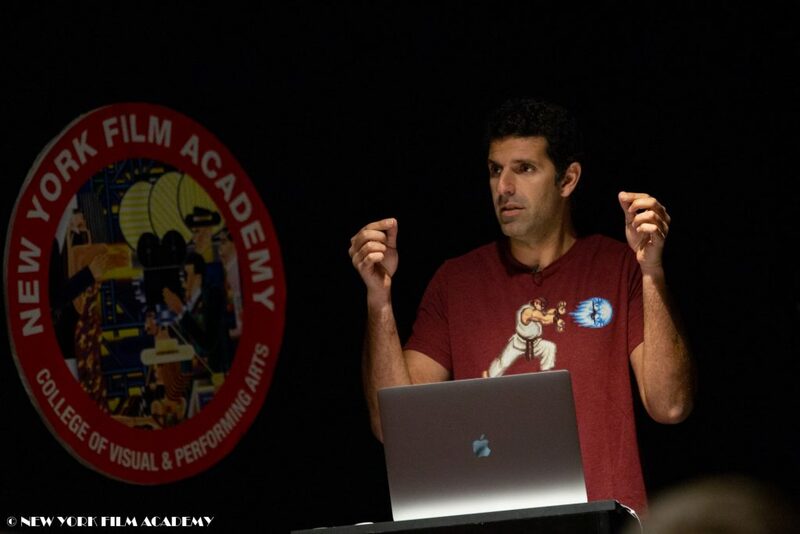 On January 17, Cal Tech quantum physicist Dr. Spiros Michalakis came to speak to New York Film Academy (NYFA) at our Los Angeles campus, and spoke with students about his role as science advisor on Hollywood film sets. 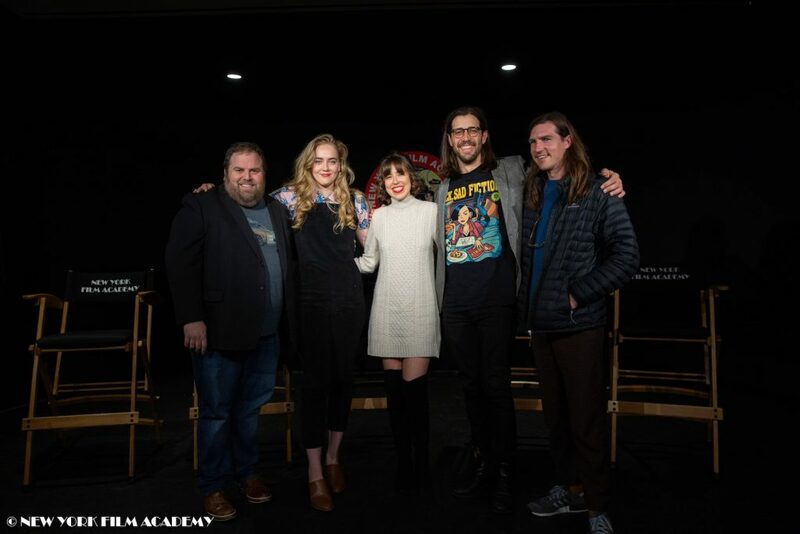 The talk was organized originally for students of the brand new (and very popular) “Science and the Movies” class offered at the Los Angeles campus for the BFA degree program—a course focused around analyzing how science is portrayed in film—though it drew many students from outside the course and program as well. Science advisors are being used more and more in film production, as audiences are demanding less fantastical and more realistic and grounded foundations for science fiction plots. 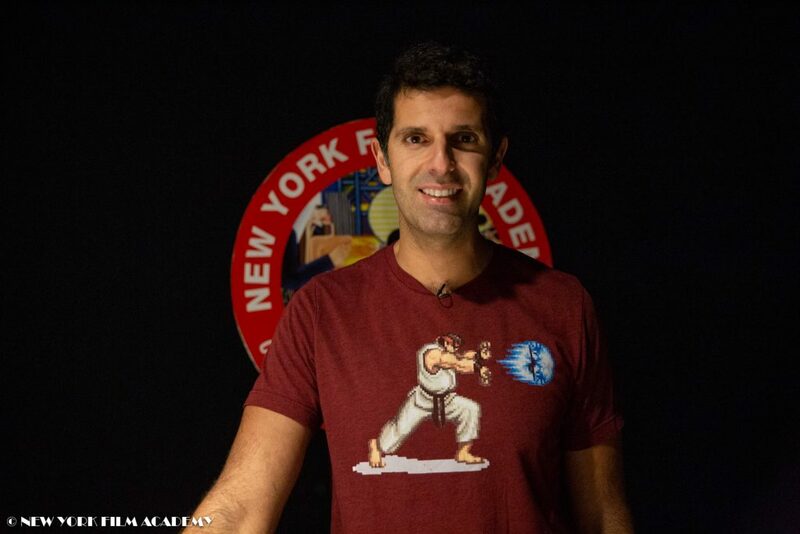 Dr. Michalakis is known for his work on several Marvel Studios films, including Doctor Strange, the upcoming Captain Marvel, Ant Man and its more recent sequel Ant Man and the Wasp. 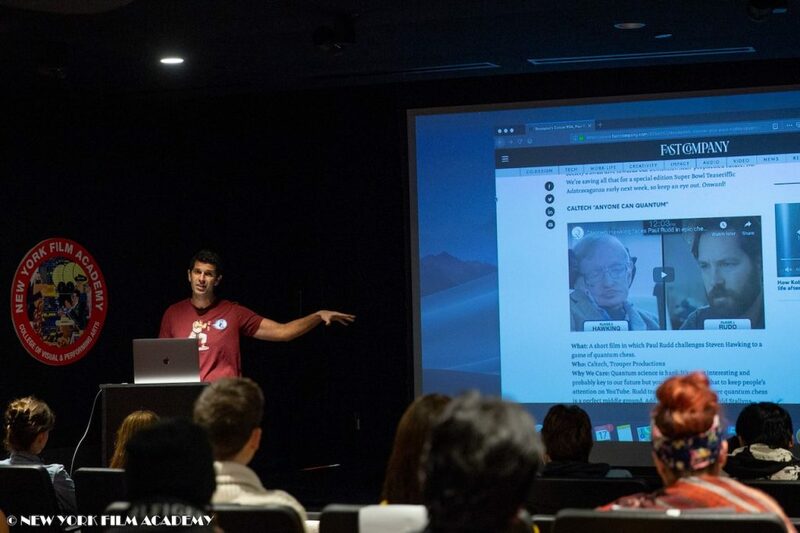 He also worked on viral shorts that include celebrity scientists and actors alike, like Dr. Stephen Hawking, Paul Rudd, Keanu Reeves, and Zoe Saldana. 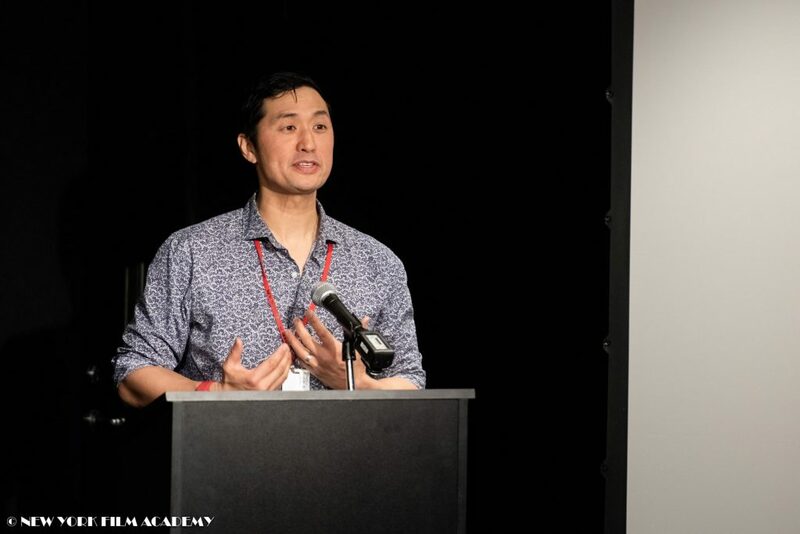 In short, he blew the minds of our students with his enthralling descriptions of the quantum realm—a key part of many recent science fiction films, including the aforementioned Ant Man movies—and how best to incorporate such challenging physics into a major Hollywood blockbuster. 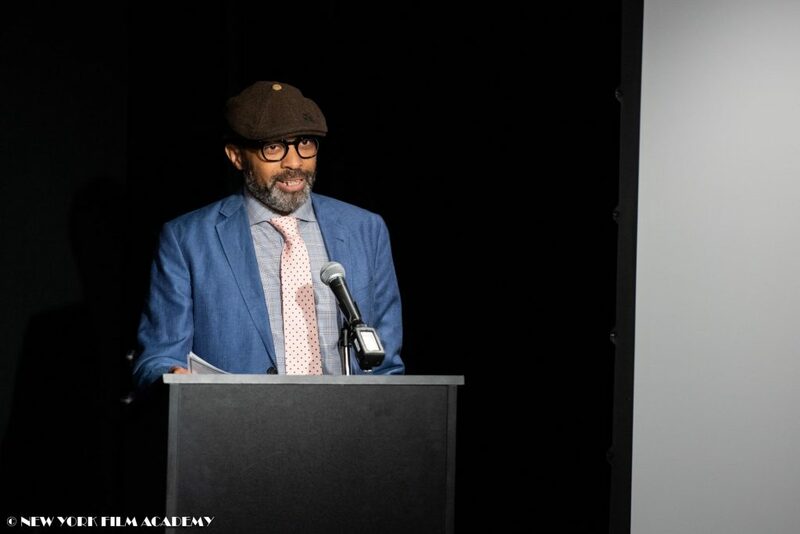 His take-home message to filmmakers: find a balance between entertainment and education, i.e., there is a brilliant but gentle way to incorporate science in your film that will entice curiosity while not ostracizing the spectator simply looking for entertainment. 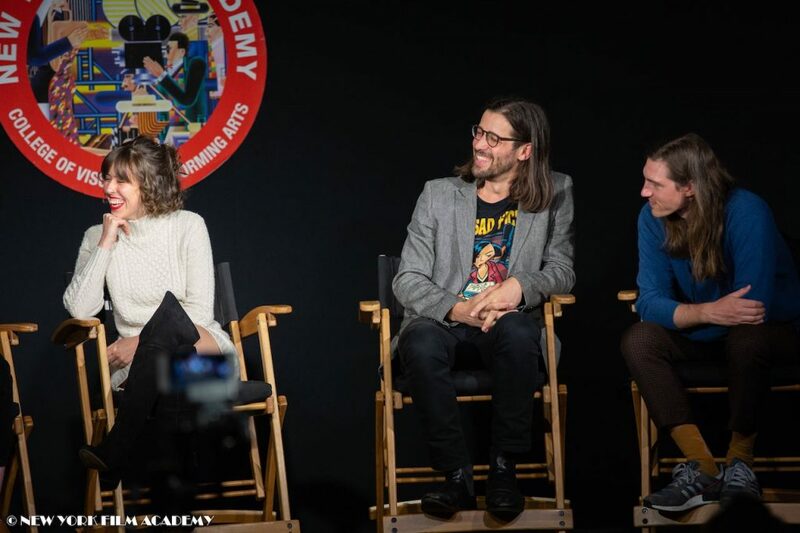 The New York Film Academy thanks Hollywood science advisor and quantum physicist Dr. Spiros Michalakis for taking the time to talk science and film with our students!